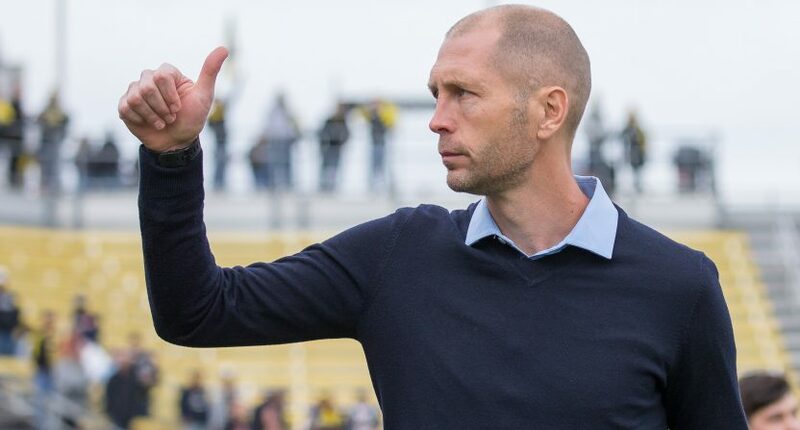 The long wait is over and the worst kept secret is finally out, as US Soccer has announced Gregg Berhalter as their new head coach. The announcement came over a year after Bruce Arena resigned from the post following the United States’ failure to qualify for the 2018 World Cup in Russia. Despite not having a full time head coach for over a year, the US stayed busy, playing 10 friendlies over the past year. Under the guidance of interim head coach Dave Sarachan, the team tried to build towards the future. Obviously (one hopes), Berhalter will come in with his own style and plan. Players who may not have fit under Sarachan may find a home in Berhalter’s team and vice versa. However, that doesn’t mean it wouldn’t behoove Berhalter to look at the tapes from the last year of friendlies, not just to give these otherwise meaningless friendlies some validation, but because it’ll give him a good starting point for where to ask questions. Despite the overall meaninglessness of these games, we did learn some things over the past year. However, there are still several questions that Berhalter will need to answer. Here are some of them. During the entire Jurgen Klinsmann era, it seemed that there was only one stretch (the 2016 Copa America) where the US had first choice center backs locked in. It appears that Berhalter now has his center back pairing of the future. John Brooks and Matt Miazga have more than earned that role going forward, with Cameron Carter Vickers being the Jamie Carragher to their Rio Ferdinand and John Terry. Brooks and Miazga will make mistakes, which is OK, but until they prove they can’t handle the big time, they should be given every chance to grow and develop their chemistry together. Left back has long been a dark hole for the USMNT, but for the first time in a long time, there is a ray of hope in the form of England born Antonee Robinson. Robinson made a costly mistake that led to Brazil’s first goal back in September, but recovered and played brilliantly the rest of the match. Unfortunately, he was rotated out of the team for their next match against Mexico, which shouldn’t happen. Robinson is far from a sure thing, but at this point in time, he’s earned the right to start the next few matches. He’ll make mistakes, but what’s important is that he’s given a chance to show that he learns from those mistakes. Question: What formation should the US play? The age old question that just never goes away for the USMNT. Under Sarachan, the US mainly deployed a 4-1-4-1 with Will Trapp sitting behind youngsters Tyler Adams and Weston McKennie. The formation allowed Adams and McKennie to press and get up the field with Trapp protecting behind them. The downside to this formation was the US suffered from an extreme lack of creativity, but that’s also because they played nearly every match without Christian Pulisic. Which brings us to.. Question: Where should Christian Pulisic play? The ideal answer is centrally. If it didn’t have residual effects, Pulisic would be deployed as the no. 10 playing behind the striker in either a 4-4-1-1 or a 4-2-3-1. However, setting up this way requires us to know whether Adams and McKennie can play in a two man midfield. If they can, the door is open to play Pulisic behind the striker, but if they can’t, then they’ll need to play more of a 4-3-3 with Pulisic on the wing (which is his club position with Borussia Dortmund). Question: What is Will Trapp? The biggest mainstay in the US midfield over the past year has been defensive midfielder Will Trapp. Unfortunately, one of the least impressive players over the past year has also been Trapp. While he’s drawn the ire of many fans, he’s also been playing under Berhalter at the club level with the Columbus Crew, so he’s likely not going anywhere. The US’s lack of defensive midfield depth also plays a factor there. Whether it’s fair or not, Michael Bradley will always be associated with the failure to qualify for Russia. In the same way England coach Gareth Southgate wanted to distance his team from England’s failed ‘Golden Generation,’ the US should be doing the same thing with Bradley. On the field, Bradley lacks both pace and urgency, which doesn’t fit with this young crop of players. They already get the same lack of urgency from Will Trapp. Bradley’s club form this season with Toronto FC was as bad as his national team form had been for a few years now, but there are still some that think the US team would benefit from his experience. How? The concept of this US team is they are young and learning together. They should be learning and going through these experiences together. Besides, it’s not like this team isn’t experienced. Pulisic and McKennie play big matches in the Champions League all the time. Players like Brooks, Bobby Wood, and DeAndre Yedlin have all played in World Cup Qualifiers, Gold Cups, and a Copa America. This team has plenty of experience without Bradley. Gregg Berhalter is ushering in a new era for the USMNT. While fans may disagree on some issues, the overall majority will agree that the biggest part of the new era should be leaving the old era behind.